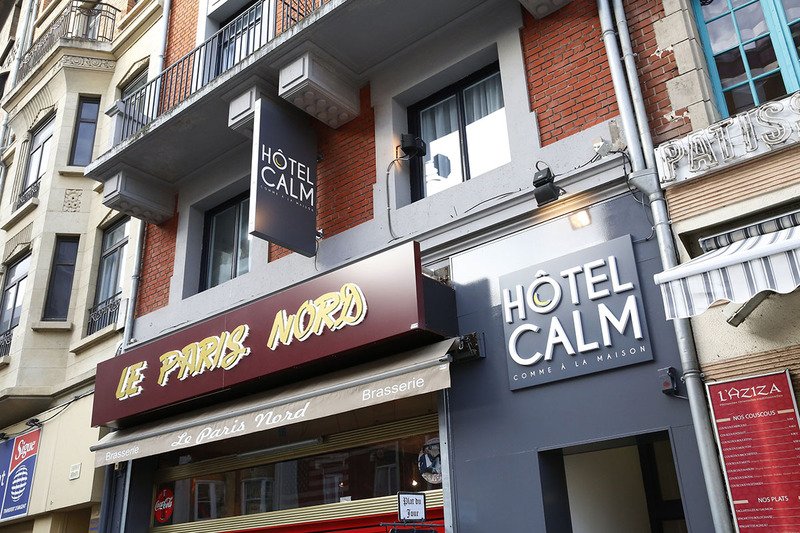 If you are in the center of Lille, you are only a few minutes away from the CALM hotel. Just make your way towards the Lille-Flandres station; it’s only a few steps away. From the A1 motorway, coming from Paris or Brussels, follow “Gare Lille-Flandres”. From the A25 motorway, coming from the Côte d’Opale, follow the same direction. The CALM hotel is 20 meters away from the station. Lille-Flandres and Lille-Europe are 20 and 200 meters away from the CALM hotel. You can catch a train from Lille-Flandres to Paris 26 times a day, or you can join London, Brussels, Roissy Charles de Gaulle and Monaco every single day from Lille-Europe. The “Gare Lille-Flandres” station would be where to stop.